Congratulations to Jonnie, shockingsilk and omiyage_ca. Stay tuned for another giveaway (international) that's coming up soon! Perhaps you are one of the more than 270,000 followers of Paper Panda Papercuts on Facebook. If so, you're already well-acquainted with the friendly, personable posts written by Louise Firchau - aka one half of the Paper Panda duo. She and her husband Ryan have built a strong art business by combining his talent for design and photography, and hers for cutting paper and teaching with a folksy charm - they're a dynamic force in the papercutting world. You might recall this post about Paper Panda from a few years back when their FB page had just half as many Likes, yet they were already wildly popular. Louise recently released her second papercutting book for Search Press, Paper Panda's Guide to Papercutting - Paper Panda & Friends. 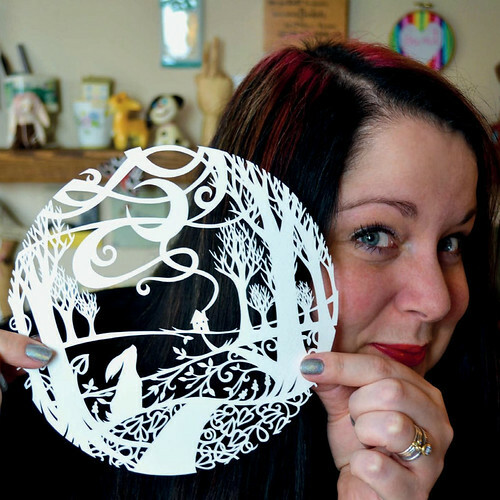 Her conversational, yet informative voice will lead you through the ins and outs of creating papercut art pieces that can proudly be given as gifts... if you can bear to part with them! 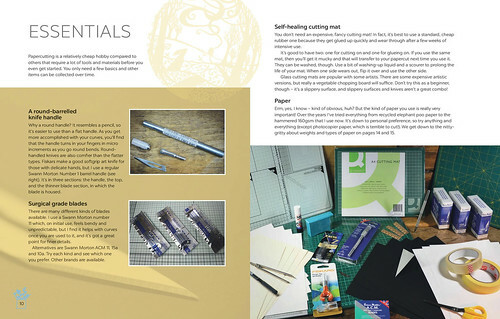 Geared to beginners and to those who are looking to improve their papercutting skills, chapters include Tools and Materials, Getting Started, Techniques, Design and Inspiration, Creating a Design, and Projects, along with helpful sections on adding dimension by layering, making infills, cutting curves, lettering, working with positive and negative images, finishing, and framing. Even copyright is addressed. 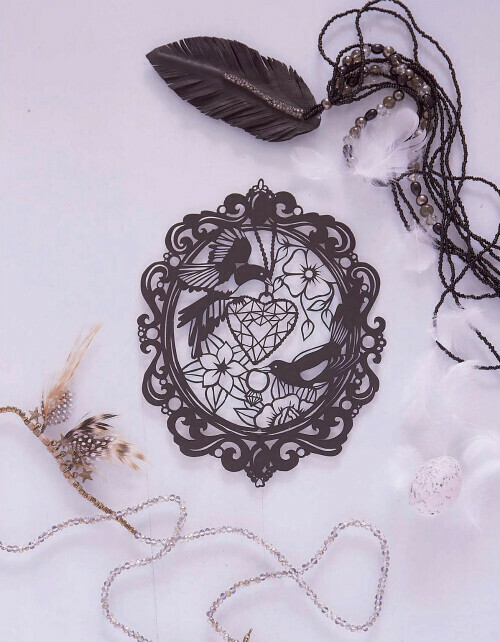 In addition to five of her own papercuttings, there are template designs - five each - by three equally talented papercutters, Sarah Trumbauer, Louise Dyer and Suzy Taylor, making a total of twenty. 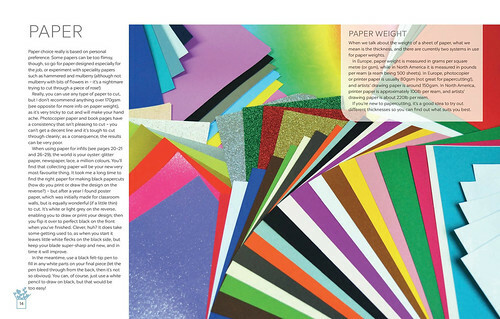 Full templates printed on high-quality art paper can be cut from the book and reproduced as many times as you wish. You'll read about what inspired the designs and learn from tips and step-by-step photographs provided by all of the designers. 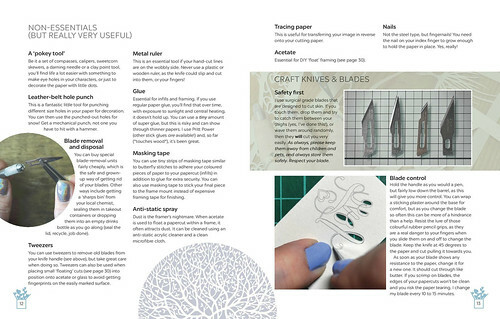 For information and advice on beginning papercutting, click on each of the three informative page spreads you see here, as shared from the book by Search Press, to more easily read the text. 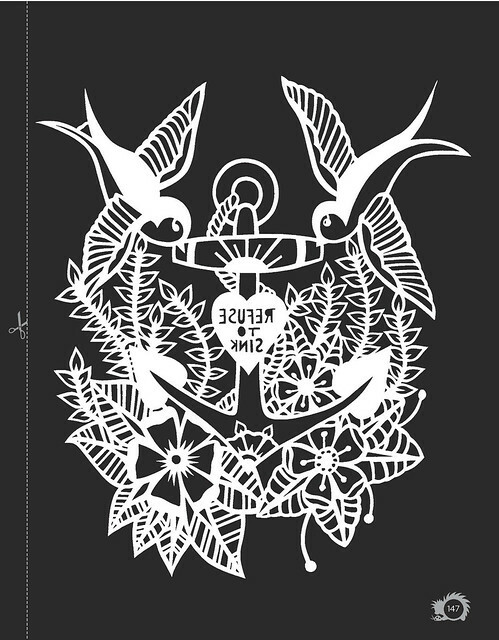 Search Press has also shared two tattoo-inspired templates from the book for use by All Things Paper readers. Sky Pirates and Refuse to Sink were designed by Louise Dyer. To obtain the templates, click on the black and white images above, one at a time. You will be taken to Flickr where you can click the download arrow located in the lower right corner of the page's black section. Save to your computer and print after referring to Louise's tips on paper choices above. And now the U.S. and Canada giveaway! 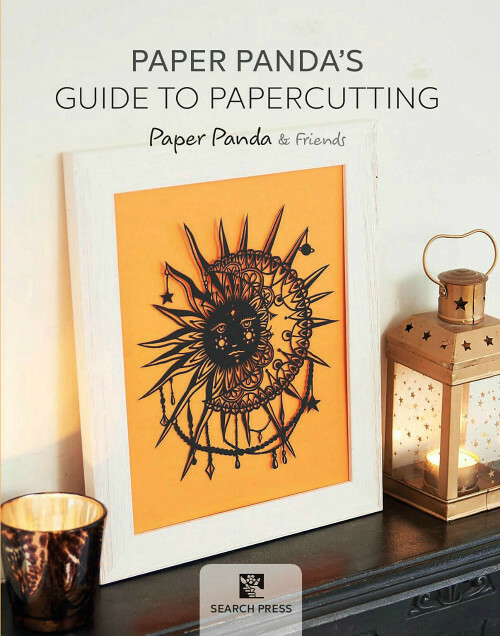 Three winners will each receive a copy of Paper Panda's Guide to Papercutting directly from Search Press USA. You may also enter on Instagram as long as your account is not set to private. Enter at one or both places by the end of Saturday, August 5, 2017. Three winners will be chosen at random and announced at the top of this post and on the Instagram giveaway photo as soon as they have been notified. Good luck! 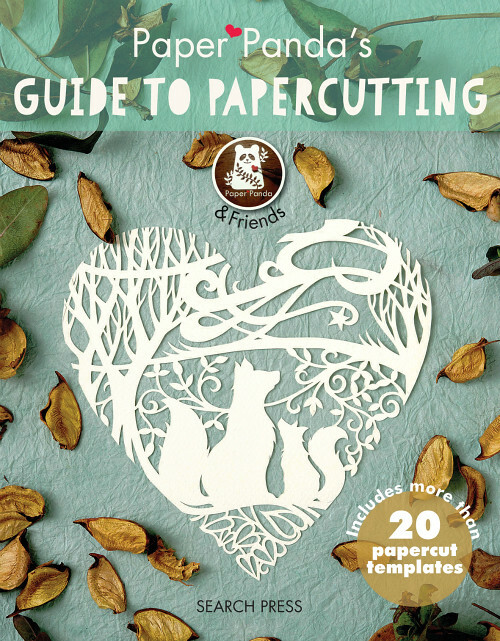 I'd love to try papercutting - this book sounds great! This is beautiful. I've had an interest in paper cutting for a long while and just didn't know how to get started. Glad I found the Paper Panda!! Thank you for a giveaway also! rocknutzaz at yahoo dot com. Goirgeous stuff, I'd love to try this! This looks awesome! So much inspiration! I love all things paper, and I am an avid paper cutter. What beautiful designs!!! I would be so delighted to give them a try! 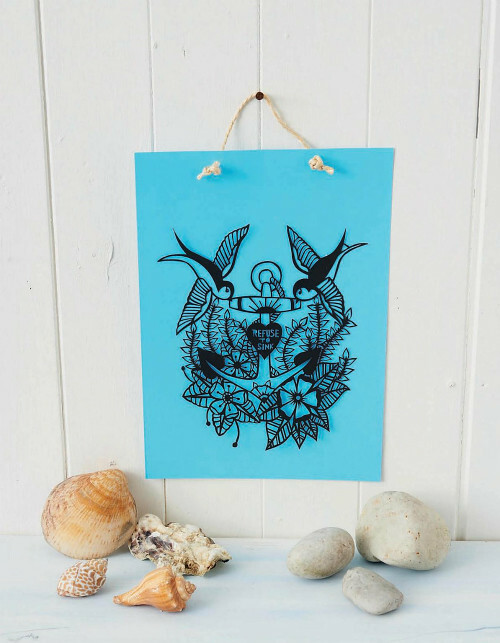 Paper Panda designs the best papercuts! slkunze at gmail dot com Thank you for the giveaway! Such a timeless, beautiful art! I cannot imagine how many blades you must get through in a week! 😉😊 And thank you for the template freebies. This looks like a fantastic book full of inspiring patterns. The detail is astounding. Beautiful work. Thanks for the giveaway. These cuttings are beautiful! I need more practice, for sure. Wow - these are just gorgeous! I would love to try it but am not sure I could ever create anything so beautiful! I'm a huge fan of Paper Panda, such amazing talent and so brilliant to share that with the world and inspire others to just give it a try. Would love to win your book. I already have one of them. How exciting! I would love to receive a copy. Awesome! Would love this to sharpen my skills! Love papercutting but have drifted from it recently. Would love to get this to reinspire myself! I love your work. I need to sit down and do some cutting. 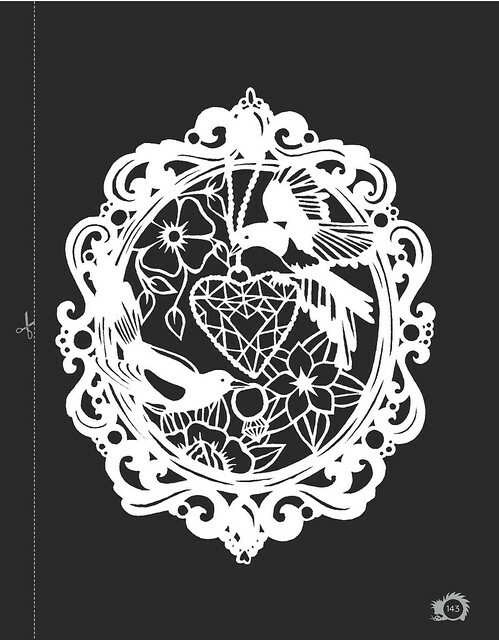 I have done some simple papercutting before but never anything this grand. I would love to see the designs in the book. I bet they are fabulous!! I'm ready to give this a try. I had a visitor from Denmark whho had paper cutting BEAUTIFUL designs made there. Ann, you find the most amazing paper crafts. Thanks for your entries and papercutting enthusiasm! The giveaway has ended. This book has some beautiful things to cut as shown by the samples. Would love to add it to my collection and I'd even try an easy one or two.